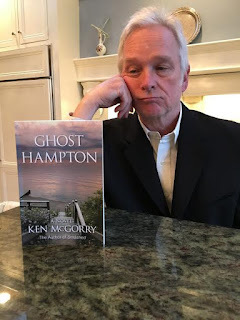 We welcome today Ken McGorry, author of the new paranormal thriller, Ghost Hampton. Just in time for Halloween, too! Ken, I’d like to start out by asking you how did you get started writing paranormal thrillers? This was a few years ago. I was shopping my first novel, Smashed, and also looking for a new project. By the time we got out of the car, I had my title: Ghost Hampton. And I was hooked. And I decided I'd better move the fictionalized action out to Bridgehampton. I also needed to contact my grown niece who's in fact had a lot of experience with the paranormal world. What’s your favorite paranormal thriller movie of all time? Your book, Ghost Hampton, is the perfect book for Halloween. I’d like to discuss the characters first. Can you tell us a little about Lyle Hall? 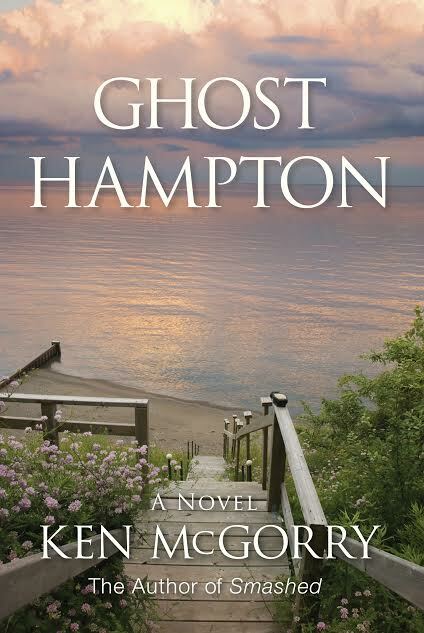 Lyle Hall is Ghost Hampton's central character and, you might say, based on his level of difficulty (he's got a bad history with women, drink, his greedy law practice, and weak parenting skills), he's also the reason this book was published independently. Traditional publishing professionals often used Lyle as the excuse to recuse themselves from getting behind Ghost Hampton. But in our world of pop anti-heroes (Tony Soprano, Walter White, anybody in The Girl With the Dragon Tattoo) I felt strongly that the days of Father Knows Best and White Hat = Good Guy are well behind us. My concept for Lyle was that of a modern day Scrooge. But our Lyle has already had his comeuppance prior to meeting any denizens of the underworld. His "inciting incident" was a violent car crash that took the life of Bridgehampton's kindliest old lady and left Lyle Hall paralyzed, despised and beset by incorporeal voices. It's this "new" Lyle who decides he must remake himself as a better, more giving person. But none of the locals who've known him for decades can see him any other way. And it's Lyle Hall, reviled both by real-life publishing executives and by his own fictional friends and neighbors, who's turned out to be a favorite new character with the many, many new readers and book clubs who have contacted me (and most of them are women)! Can you tell my readers who Jewel is? Jewel is a mysterious young girl in Victorian dress who speaks only to Lyle Hall and only in a language he cannot understand: Italian. She appears in front of an abandoned mansion, "Old Vic," and captivates Lyle, who memorizes her haunted face and (phonetically) her soulful plea. Of course, Lyle is the last person to be able to decipher her message and truly understand his paranormal experience so he implores others, including a researcher who's an old frenemy, to help him. Soon hordes of paranormal enthusiasts descend on Lyle's home, camping out, hoping in vain that Lyle will introduce them to Jewel. Most interested in Jewel is a scheming TV reporter who sees Lyle as susceptible to suggestion, and as a stepping stone in her career. But Jewel's true identity remains a riddle until Ghost Hampton's climax. Tell us about this Victorian old house that Lyle finds? Everybody in town knows "Old Vic" -- a big, old rambling mansion. It's an eyesore and a threat, both to property values and to those who might venture inside. It's rumored to have been a brothel back in the 1800's -- and it's widely believed to be haunted by someone, or some thing. As we see in Ghost Hampton, sometimes rumors are true. The structure itself is three stories high with a badly damaged cupola atop a Mansard roof. Its upper floors are a warren of small rooms. Its windows are all broken, including the cupola's oculus. The only furnishings inside are a few plastic milk crates. Everything else, including the moldings, have been burned over the decades by trespassing teenagers in the parlor's huge "walk in" fireplace. Miranda Silkwood has made a name for herself as "Silk" -- the gorgeous and tempting purveyor of paranormal news on the Fearcom website. She wants her career to grow beyond the unwanted attentions of a legion of nerdy fanboys, and Lyle Hall and his paranormal extravaganza, smack in the middle of the Hamptons, presents her with a perfect opportunity. Her scheme is to play off Lyle's obvious fixation on her to get the most out of him in live TV interviews, despite his obviously unstable temperament, and ride his sudden fame to new heights as a network news host. What would you say is one of the scariest parts of your novel? Well, there's something that "possesses" a few unwary characters when they enter, or get too close to, Old Vic. This unknown entity can transform a healthy, likable person into something hateful and dangerous. This happens a few times as the story progresses and we don't know if some favorite characters will survive the ordeal. Do you plan on turning this book into a series or do you plan on writing other paranormal thrillers? Yeah! I got hooked on Ghost Hampton early on and built the foundation for two(!) sequels into this first book. I miss my characters and can't wait to get them out on the page again. Now’s your chance. Do you have anything you’d like to say to my readers about your book? 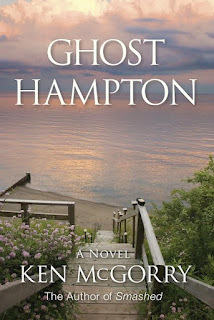 You don't have to know about Ghost Hampton's buried plot line to get a kick out of the characters and their antics. But let's think about our old friend Scrooge again for a minute. What if Scrooge, after his Christmas Eve ghostly visits, ventured out in the real world only to find that no one believed he'd changed his ways? What if his well earned reputation informed how everyone perceived him, no matter what? Hey! Thanks for having me aboard "I'm Shelf-ish"! It's really been a pleasure!